Let's Work Together to fix your Thyroid health! My mission is to empower you to achieve and maintain the highest levels of thyroid health, FOR LIFE! We’ll use the power of real food, smart supplementation, quality sleep, stress management, appropriate movement, and spiritual wellbeing to transform your life from the inside out and back in again. Helping you take on that journey with an attitude of self-love, kindness and patience is at the heart of our Thyroid Rescue community. Since 2013 I’ve been helping people get to the root cause of their health issues. I’m the right gal to see if you’ve tried the conventional approach and nothing has worked! Plus I have a big heart Because so much of the journey back to health is not just logic and information, but having someone “in your corner” who truly cares about seeing you get well. In fact, information overload is the most common problem I see in EVERY one of my clients. We all have Google and “answers” at our fingertips, but rarely will these guide you in the right direction. With expert guidance, support and a treatment strategy that’s 100% individualized, it’s only a matter of time before I’ll have you feeling great again! Complete Notes. All key points discussed during our consult will be emailed to you. No frantic note taking is necessary- I have you covered! NOTE: Bookings generally need to be made 1-2 weeks in advance due to client demand. I’m unable to provide Health Fund rebates at this time. "I sought help from Nat when I was fed up with my extreme digestive discomfort and constantly feeling fatigued. I knew it had to be more than just “IBS” when I couldn’t even eat a meal without needing to run to the toilet. By the time I decided to seek help from Nat I couldn’t even remember the last time that I had done a solid poo! Nat has guided me through some really simple dietary changes that not only helped to lessen my symptoms, but were easy to follow. I was so surprised at how effectively the extensive range of natural supplements worked to heal my gut. After 6 weeks I was amazed at how happy my gut was. I was able to enjoy meals without feeling bloated or needing to run to the toilet straight afterwards. I quickly learnt what foods made me feel better, and by sticking to those foods I saw my energy levels start to rise again and now wake up feeling refreshed every morning. It became easy sticking to certain foods and avoiding others because I could feel how happy it made my body. I’m so grateful for Nat’s guidance as I’d never be feeling as great as I do without her!" "I've had the pleasure of working alongside Natalie for years. She is the ultimate practitioner. You get the best of both worlds - an incredible knowledge base paired with compassion and personalised care. What I constantly get from her is an unwavering sense of professionalism and thirst to help better people's lives through health." "I went to see Nat because I'd struggled for a long time to maintain positive changes in my eating habits (anyone can do a fad diet for a short while). I also wanted to improve my blood test results using food (rather than medicine). Nat was amazing; not only did she help me implement small but extremely productive changes in my diet, she kept me accountable until I was able to maintain the changes for myself (Google doesn't critique your food diary!). Two years later I still hear Nat's voice. Seeing and (more importantly) feeling results always helps, and I'm sure Nat can help anyone achieve their goals!" "I’m 61 years old, recently retired and have been very active throughout my life. Post-menopause, I noticed a gradual increase in my weight, bloating and lower levels of energy. I’ve always exercised consistently, eaten healthfully and pushed myself to maintain a good level of fitness...so why was I feeling frumpy and sluggish? I decided to seek nutritional advice and was recommended to see Natalie Douglas. Nat’s very comprehensive questionnaire made me think deeply about my health and wellbeing history. Recent blood tests ordered by my GP gave Nat some information, however ‘reading between the lines’ in my responses prompted Nat to order further blood tests which, to my surprise, revealed Hashimoto's, an autoimmune underactive Thyroid condition that was in its early stages. Nat immediately recommended nutritional advice, and I’m currently gluten, dairy & soy-free. I now eat when I’m hungry and take a range of supplements to counteract deficiencies noted after the comprehensive blood tests. Nat also made me realise that I don’t need to ‘flog’ myself when exercising. Following her advice I comfortably manage a couple of HIIT sessions and a couple of weights sessions a week (20 mins max per session! )...this is so doable (at home) and I no longer feel guilty for not getting to the gym. I enjoy walking my dog on the beach which feeds my soul and satisfies my wellbeing. I don’t get on the scales now but I’m feeling less bloated with a firmer core and my trousers are definitely looser. We still have more work to do and I’ve given myself a 3 month window to successfully manage what could have been a debilitating condition. Left undiagnosed and untreated, Hashimoto’s would have restricted my ambitious retirement plans to enjoy multi-day treks all over the world." "Natalie has a way of making you feel like you're not alone in your challenges to improve your health. Her ability to relate to my history and the exercise and diet rules I had created for myself was comforting. Natalie's advice was practical, easy to follow and I'm grateful that I was able to work with her on my overall health." "As a woman approaching 50 I've been so surprised to discover my health could improve the way it has with Natalie’s help. I approached her hesitantly with period problems that I'd been accepting for years. I also felt a little ashamed that I couldn’t tolerate what was possibly 'normal' for my time of life. I'd found myself preferring to put up with sleepless nights, cramps, headaches, irritability and other unpleasant symptoms rather than taking up the (unwanted) options my doctor had offered me. On following Nat's advice things have significantly improved for me. Her genuine passion and the generosity she displays in passing on her knowledge makes her invaluable to anyone wanting to improve their health." "I just wanted to thank you Nat for your help with my diet! We worked through the foods that I like to eat and put it in a format that would improve my performance and overall health. I can highly recommend your services and I've already told many how great you are- thanks again!!" 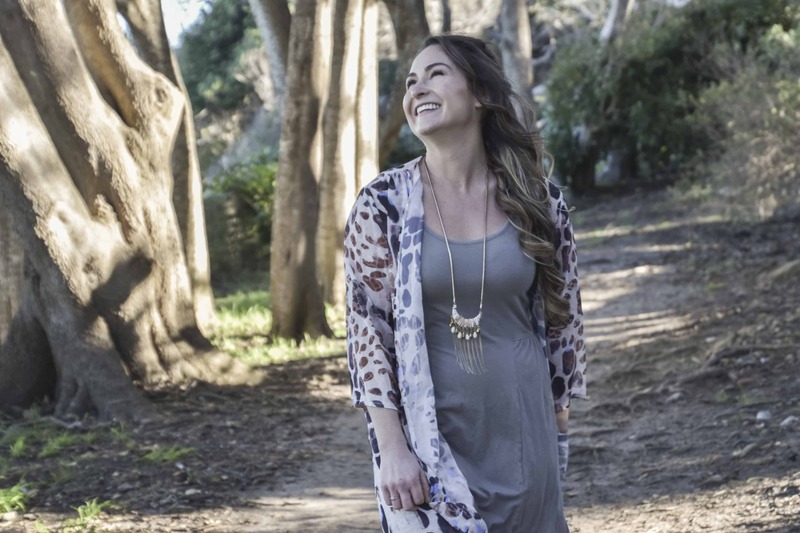 "When I first found Natalie, I struggled with constipation, bloating, fatigue and “brain fog”. I’d constantly worry about what I ate, and would need to get up at the same time everyday as a sleep-in meant constipation. Exercise often involved encouraging bowel motions with walks up hills or yoga twists...even if that’s not what I felt like doing! A work week would be hard as I’d get very tired as the week progressed and struggle through work days. Through our public health system I had many invasive tests, including a colonoscopy and at one stage was diagnosed with IBS. 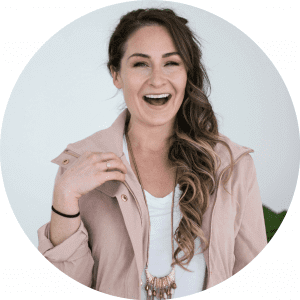 When working with Natalie, she encouraged me to try some non-invasive tests, which uncovered that I had parasites, SIBO, underactive Thyroid and more! Natalie supported me to treat these through diet changes and supplements. All her recommendations were easy to make and Natalie answered all the questions I had along the way. My constipation is almost a thing of the past; I have increased energy, considerably more freedom (as I don’t have to think about everything I eat), can sleep-in on the weekend and I can choose what exercise I want to do and when. My gut has not felt this good in over 10 years. Thank you SO much Natalie for your help." "Nat educated me on real, unprocessed foods and the effects stress has on the body. She gave me the tools to provide myself with a healthy lifestyle, not only through food but also emotional wellbeing and exercise. As a result, I've seen improvements in energy levels, gut health, skin, body composition and intuition of what's happening in my body. Nat's holistic advice has been invaluable to me and I use it everyday." "I first saw Nat to help clean up my diet and get on track after developing some pretty poor eating habits. Nat's meal plan was perfectly suited to my lifestyle, the foods I enjoy and the changes I was willing to make. Even better, Nat made recommendations that supported my autoimmune disease and helped reduce joint inflammation. Following Nat's plan was really easy and it definitely improved my dietary health and choices!" "I'd like to thank you Natalie for your amazing work and the help you were able to provide for me. Natalie is extremely knowledgeable, passionate and is always keeping up to date with the latest research. She is a modern day, high-level practitioner and I would highly recommend anyone to see her!!" "Nat knows her stuff. She's been super helpful and supportive throughout my health journey. Her holistic perspective and accessible, balanced approach mean that Nat isn't just about helping you eat real food but improving your whole lifestyle. This is very valuable and not something you find everyday. I'd recommend her to anyone looking for genuine guidance and support with their health." "For years I’ve “watched my weight”. As I’m only 5 foot tall (just), every kilo makes a difference! While at work I used to have a small breakfast, skip lunch and eat low carb dinners. I could then indulge on the weekend, and go back to a weight I was unhappy with at the start of the week! My health journey has been a real rollercoaster. Since retiring, I became paranoid about stacking on the weight so I reduced my calorie intake to 800/day, then 500/day, then 300! I became B12 deficient and had to get injections to correct that. I also found that no matter what I did, I could no longer lose weight (even though I was exercising like a mad woman). Natalie put together a specialized meal plan for me that gradually increased my calorie intake up to 1500 per day, reduced the amount of exercise I was doing, focussed more on strength than aerobic capacity, and worked on building a healthy gut. To achieve this, I was eating yummy whole and organic foods, the right balance of macronutrients (based on my exercise regime), and supplementing my diet with protein, cod liver oil, collagen, zinc and magnesium. I was amazed that I could eat more and not get fatter! I now feel truly nourished, my body feels stronger and leaner, I can indulge on the weekend without feeling pudgy on Monday morning, I sleep well, and continue to enjoy lovely meals." "I went to see Natalie after a particularly stressful few years, which had left me inflicted with shingles on my face so badly that it impacted my eyesight. I was extremely run down and underweight. Natalie organized a supplement and diet protocol that boosted my immune system and treated the actual wounds. Within 2 weeks I was feeling dramatically stronger. Natalie sat me down and advised me on my entire lifestyle. I’ve never looked back and still use all the tools Natalie gifted me with. Her knowledge and experience is extremely valuable to anyone experiencing health and wellbeing issues. I’m deeply appreciative and blessed to feel I have her in my corner. As my needs have now changed to fitness and anti-aging Natalie continues to educate me on things I don’t know!" "Before seeing Nat, I’d put up with 2 years of ‘itchy’ hives and allergies, I felt completely fed up and evey doctor I saw just told me to take antihistamines daily (which didn’t help at all). During our first consult, Nat immediately outlined a range of changes that would help reduce my histamine intake. We did a detox by cutting foods with gluten and dairy, and started to use gluten-free grains that had been properly prepared. We also did a lifestyle overhaul; more relaxation, less stress, being kinder to my body and training smarter. Understanding that my issue was something I’d possibly need to deal with long-term was a turning point for me! Nat helped me understand that my body has a histamine “bucket”, and helped me to keep it from overfilling using real food and supplements. My hives and allergies are now under control and no longer use antihistamines daily." Menopause was killing me! I was putting on weight every month, even though I was still exercising and eating (what I thought was) pretty healthily. So I decided to ‘count calories’ and increase my exercise, but I still didn’t have any success. I was introduced to Nat and committed to trying the program she put together for me. It meant I was eating a bit more, taking different supplements and changed up my exercise program to include more walking and weights. I had to get to bed earlier every night and the real biggie --- get my coffee habit down from 4-5 cups to 1 cup a day. YIKES! It wasn’t hard to stick to the plan, and being able to talk to Nat about it every week really helped keep me on track and focussed. We modified the program to suit me along the way as I gave her feedback about what was working well. Within a couple of weeks I was seeing real results and wasn’t being tortured by the scales anymore. More importantly, I just felt better; I had plenty of energy, was less “foggy” and even my menopause symptoms didn’t seem as bad. The weight loss was just an added bonus! I’ve learnt to manage my portion sizes, include more healthy fats and increased my daily protein intake. Even when I don’t follow the program religiously these tips have stuck and I kicked my coffee addiction. It wasn’t a diet, it was a lifestyle readjustment, which was long overdue and has made a real difference.